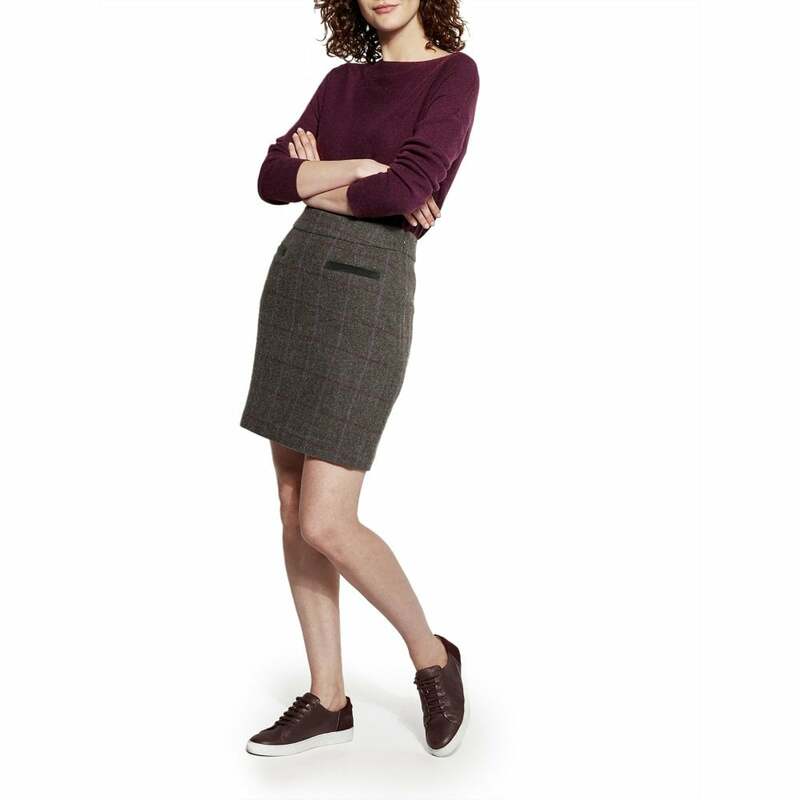 This Sheridan tweed skirt is designed to be comfortable and versatile with two front pockets. We love this skirt with a roll neck jersey, tights and ankle boots, or upgraded to a cosy knitwear jumper for those colder days. Available in three different lovely tweed options this season.